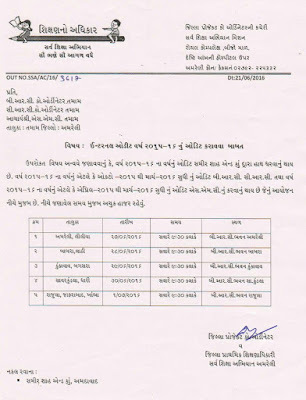 GFSU CCC Exam Result Exam Date : 11 June 2016 declared . 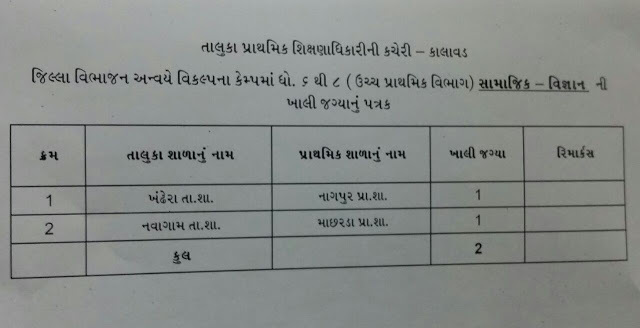 NARMADA :- PRAVASI SIXAKO NI NIYUKTI BABAT LATEST PARIPATRA. 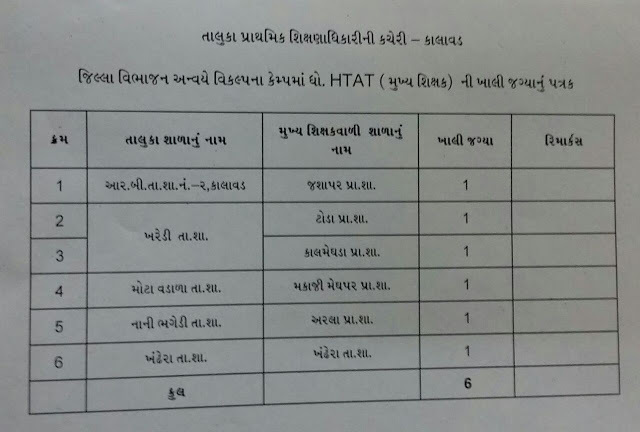 RAJY NI PRIMARY SCHOOLS MA MADHYAHAN BHOJAN YOJNA MA IVRS SYSTEM NO AMAL KARVA BABAT SIXAN VIBHAG NO PARIPATRA. 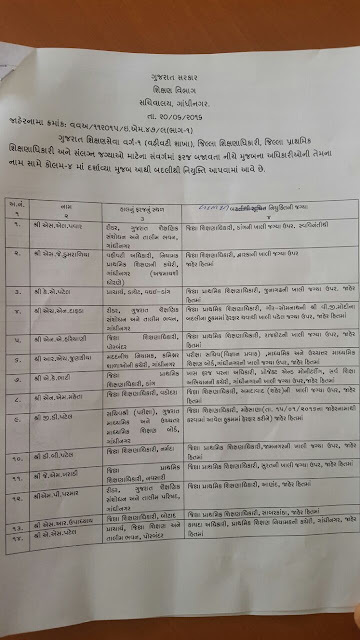 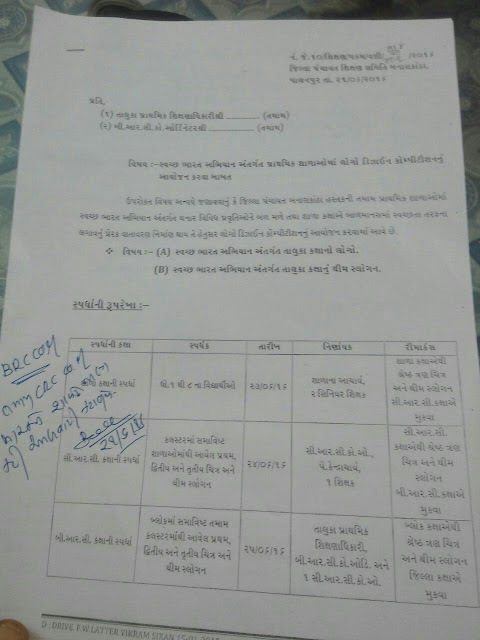 JAMNAGAR :- JILLA VIBHAJAN ANVAYE CAMP MATE NI JAMNAGAR ANE KALAVAD TALUKA NI JAGYAO NU LIST. 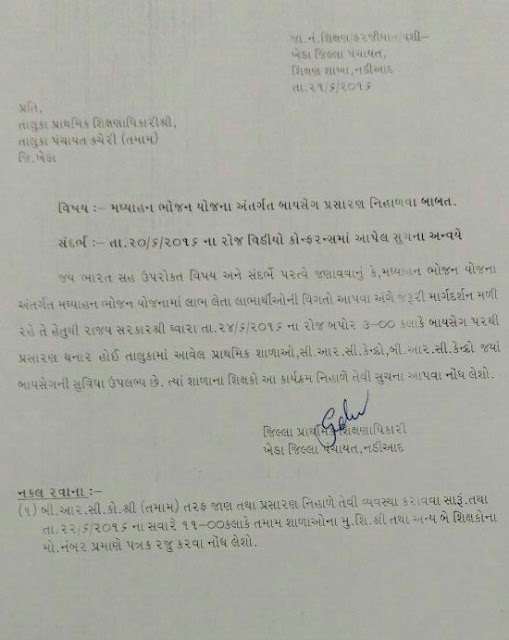 NAVSARI :- STUDENTS NA NAAM,ATAK,JATI JANM TARIKH SUDHARNA BABAT PARIPATRA. 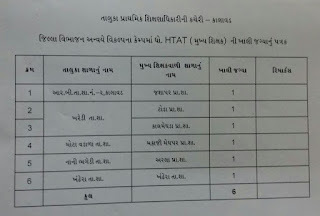 BANASKANTHA :- SWACHHA BHARAT QUIZ COMPETITION IN SCHOOL PARIPATRA. 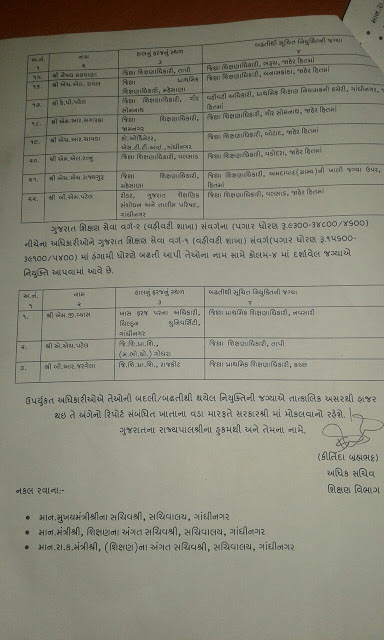 AMRELI DISTRICT :- SMC AUDIT BABAT LATEST PARIPATRA. 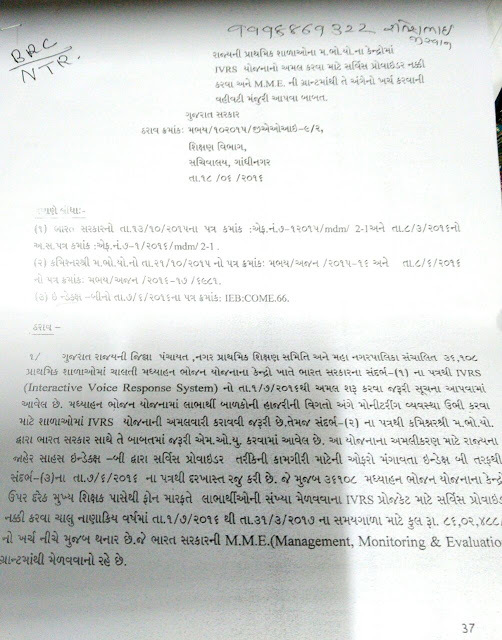 KALYANPUR SMC/CRC AUDIT MATE JARURI PATRAKO PDF FILE. 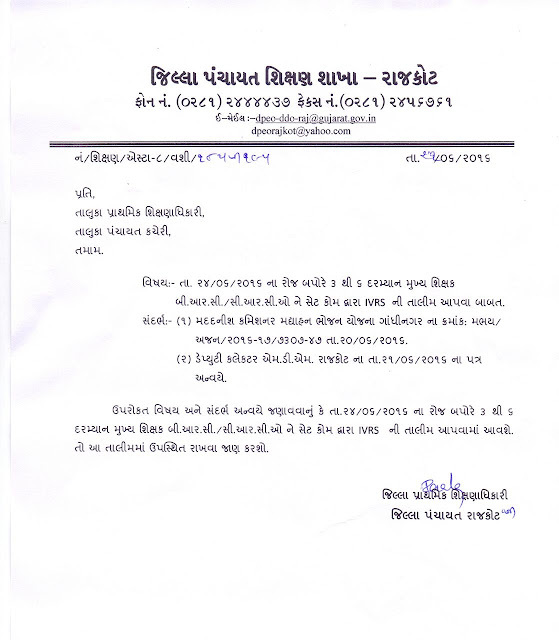 CLICK HERE TO DOWNLOAD AUDIT PATRAK. 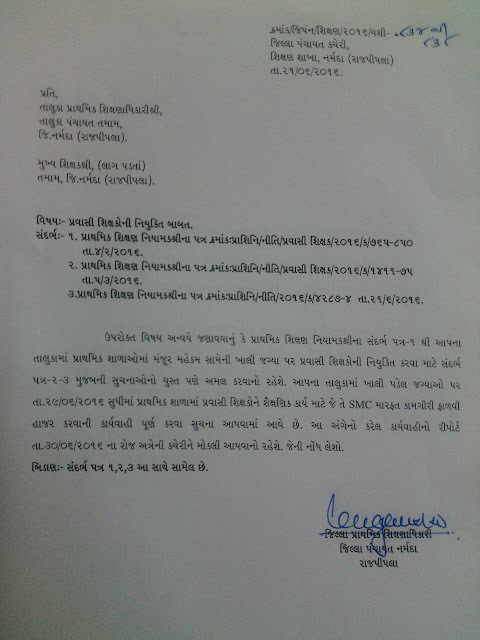 KHEDA :- DATE :- 24/06/2016 NA ROJ SETCOM KARYKRAM NIHALAVA BABAT PARIPATRA. 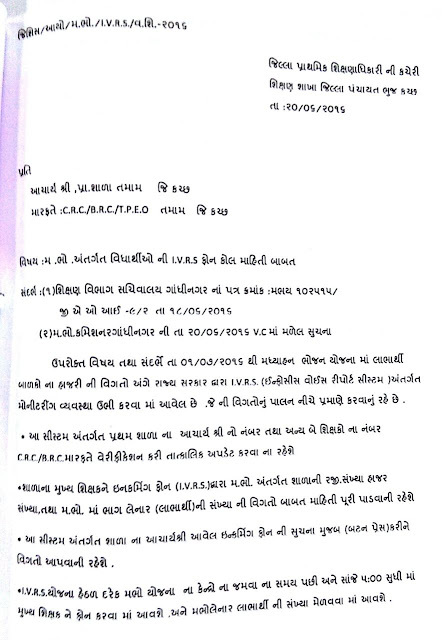 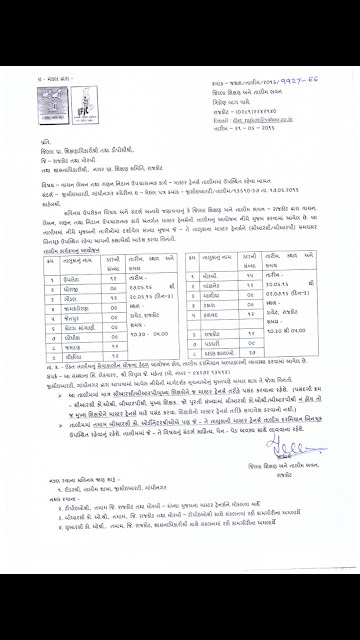 BANASKANTHA :- DATE:-24/06/2016 NA ROJ SCHOOL TIME BAPOR NO RAKHVA BABAT PARIPATRA. 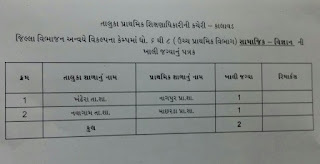 RAJKOT/MORBI :- VANCHAN, LEKHAN ANE GANAN UPCHARATAMAK KARY NIDAN KASOTI MASTERS TRAINER TRAINING BABAT PARIPATRA. 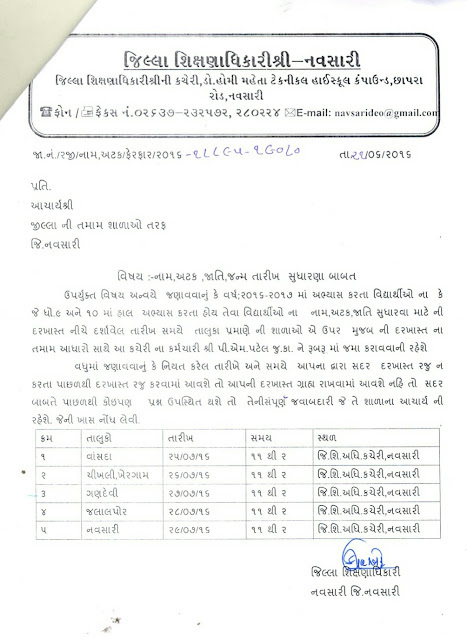 KUTCH :- MADHYAHAN BHOJAN YOJNA I.V.R.S. 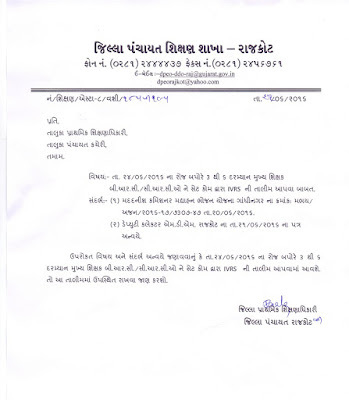 PHONE CALL MAHITI BABAT PARIPATRA. 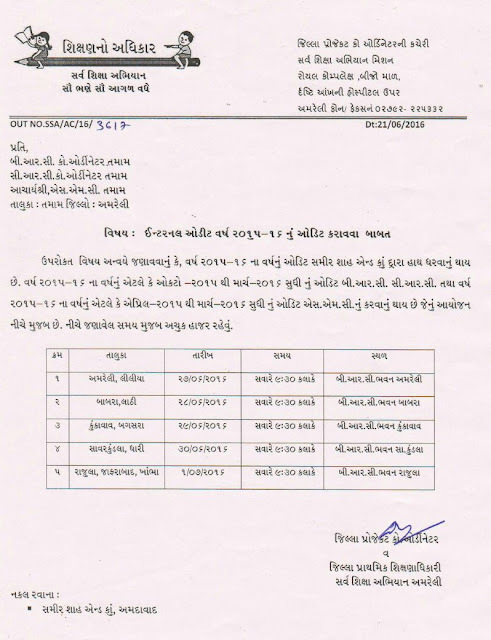 BREAKING NEWS :- 25 DEO-DPEO NI BADLI/PROMOTION BABAT LATEST NOTIFICATION DATE :- 20/6/2016.